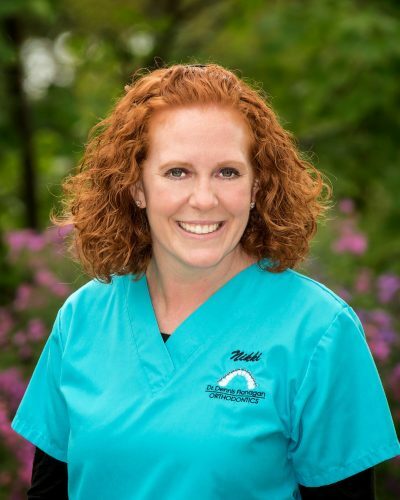 Nikki has been working with patients at Dr. Flanagan’s for nearly 10 years. Working chairside seems to come second nature to Nikki and she couldn’t picture herself doing anything else. There’s nothing she loves more about her job than the ear-to-ear smiles on our patients when they finally get their braces off. Nikki’s loves are her husband and two wonderful children (and let’s not forget about her pup, Bandit). She enjoys photography, crafts, hiking and most of all, watching her kids sporting events!